At the end of Avengers: Infinity War, Peter Parker, along with half the Marvel universe, vanishes in a fat vape cloud courtesy of Thanos. But do you think a bit of total obliteration is gonna stop Spidey from going on a Eurotrip with his homies? Hell to the nah. 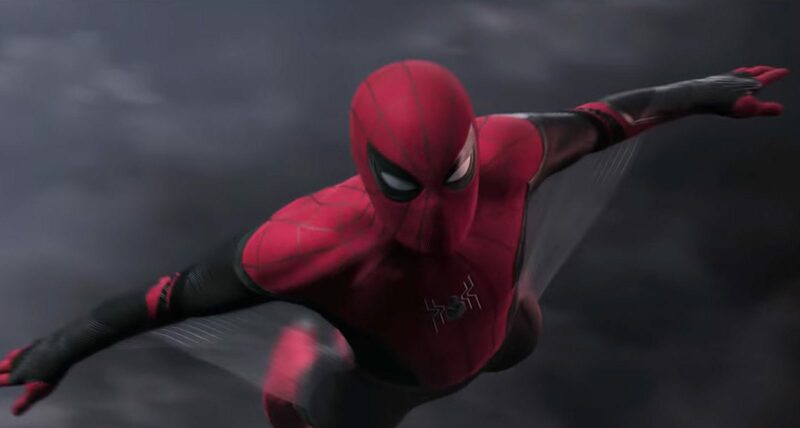 The trailer for Spider-Man: Far From Home sees a somewhat swoler Parker embark on an overseas school trip with his pals (including woke Mary Jane and Miles Morales’ Filipino sidekick) only for supervillain Mysterio, played by Jake Gyllenhaal in a Sparta cape and fishbowl helmet, to poop the party. Hijinks and capers ensue. Directed by John Watts, the film comes out July 5th, making it the first official Marvel movie to be released after Avengers: Endgame. So, spoiler: Spidey clearly doesn’t stay vaped. But that mean that his father figure Tony Stark - glaringly absent from this trailer - does? Gulp. Now That Weed’s Legit, How Should I Refer to It in Adult Conversation?